We hope you enjoyed last week’s post about what to do in DUMBO! Make sure to check out our posts about Chelsea and Midtown. 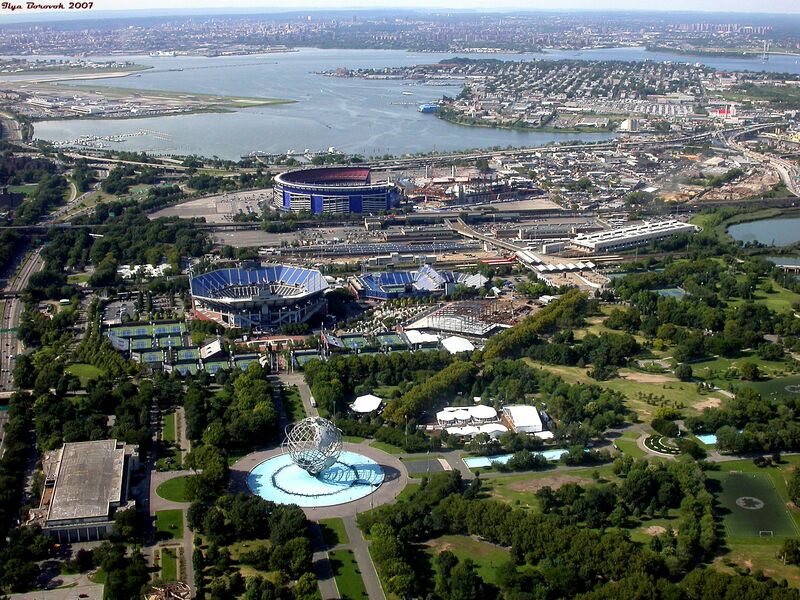 Maybe you don’t know this, or maybe you do, but Queens is New York City’s largest borough. It is also one of the most international and culturally diverse ones, filled with people from every corner of the world: almost every culture and language is represented. It surely is worth a visit, especially if you are really into trying new foods! Today, we want to tell you about how to spend a nice day in Corona, all without moving much, since these activities all take place within the same space. So, take notes, and if you hang out here, make sure to tell us if you had a good time! Have you ever dreamed of seeing all of New York City in just one day? If it sounds sort of impossible (NYC is composed of five boroughs and around eight million people, making it the biggest metropolis in the US, after all…) it doesn’t necessarily have to be. If you have watched that romantic comedy New Year’s Eve, in which a ton of really famous actors and singers like Ashton Kutcher, Robert DeNiro, Jessica Biel and Sarah Jessica Parker (just to name a few) you might recall one scene in which Zac Efron’s character, Paul (yes, Zac’s also in it! Go watch it!) helps Michelle Pfeiffer’s character, Ingrid, to complete a series of New Year’s resolutions before midnight. These resolutions are quite difficult to complete in just one day (Save a life, have breakfast at Tiffany’s, be on a taxi ride with no traffic, go to Bali) but with creativity, they accomplish them. One of the resolutions in the list, however, is to walk through all five NYC boroughs in just one day. They resolved it by going to the Queens Museum! Panorama of the city of New York is the museum’s most famous permanent exhibition, this amazing model of the city was built by more than 100 people for the 1964 World Fair. Construction took three years of work. Although you can’t actually walk in the model like Ingrid does (imagine the damage!) paying a visit to this deeply underrated museum is completely worth it, not only for Panorama but also because of its beautiful architecture and inspiring changing exhibitions. After spending most of your morning and part of your afternoon strolling through the art and the city, go outside and right in front of the museum, you will see the Unisphere. This stunning sculpture representing planet Earth was also built for the 1964 New York World’s Fair when space exploration was beginning to have a huge impact on the news and culture of the country (yay, NASA!). The Unisphere was meant to represent the theme of global interdependence— “Man’s Achievements on a Shrinking Globe in an Expanding Universe”. Looks familiar? If you are a 90s kid like most of us, you might remember seeing it in the opening of Kenan & Kel. Although, no, you can’t go inside the Unisphere. These movies and TV shows are quite misleading. 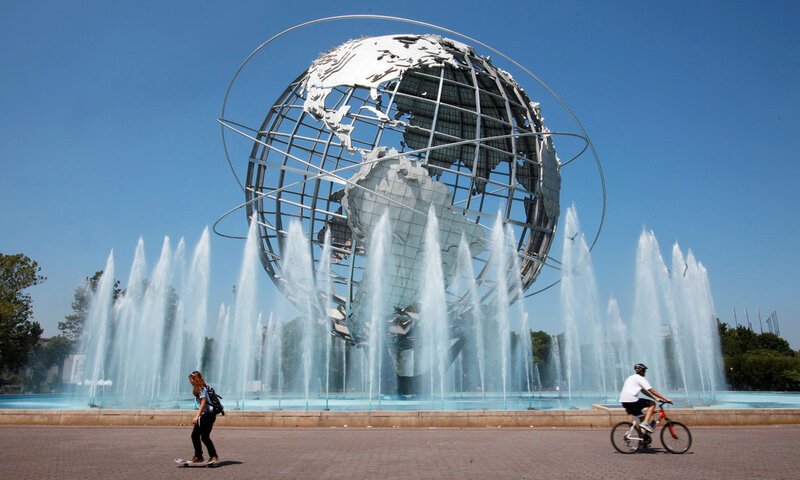 Aside from its historical significance and pop culture impact, Flushing Meadows Corona Park is also the largest park in Queens and offers many entertainment options, such as a zoo, another museum (a Science one! ), a botanical garden and even an indoor pool. Want to catch a free movie under the stars? You can do it here, with options like Roge One: A Stars Wars Story amid the options. Let’s Go Mets! Baseball is the all-American sport by excellence and there’s something about being in a live game that makes you feel like Summer really started. 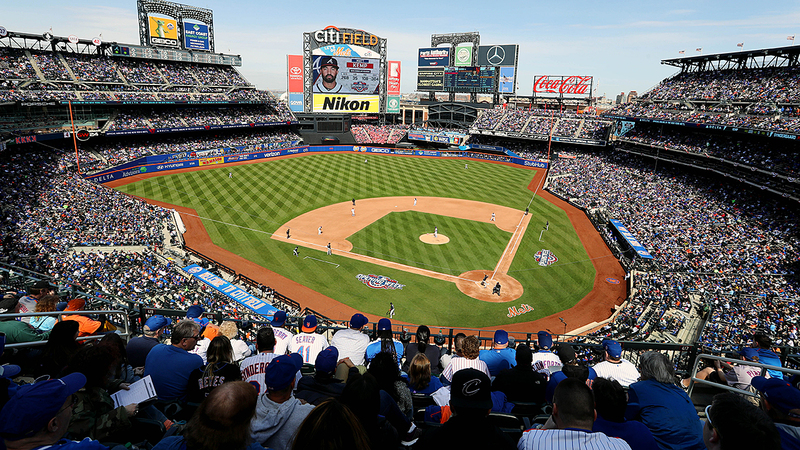 Live games are super fun to attend, but even if you are not a huge fan, you might be surprised to discover that some of NYC’s best food vendors such as DŌ, Arancini Bros, Shake Shack, Fuku (and many, may others) are located at Citi Field. Who wants to root for the home team now? Hopefully, now you know what to do in Corona! What is your favorite neighborhood in the city? Is there a place you are dying to go? Let us know which other places we should cover by tagging us on Instagram @glamandgowns, and Faviana’s Instagram @Faviana_NY and Twitter @FavianaNY. Also, don’t forget to subscribe to our Youtube channel for more fun vlogs @FavianaNYC!